T.A. Bechel, author of horror and thriller titles like "Bullied to the Death" and "Origins of a Boy Named Luci," travels outside of his comfort zone to share his personal nightmare with his tell-all confession of his past struggle with drug and alcohol addiction. A travesty turned to triumph. "Heroin Rising" is a real life story of terror. T.A. Bechel, an Illinois native, is an author of fiction, consisting of horror and thriller titles like "Bullied to the Death," "Origins of a Boy Named Luci," "A Happy Death," "The White Haystack," and "Cercueil." Father of four children, two girls and two boys, T.A. 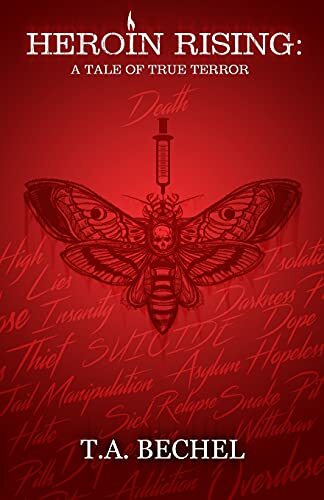 Bechel, decided to bring his struggle with drugs and alcohol to life by offering transparency in the most intimate fashion by penning his highly anticipated autobiography, "Heroin Rising: A Tale of True Terror."